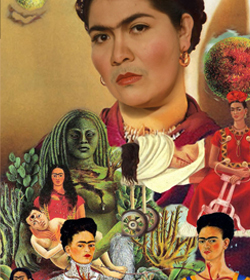 MCCLA & CIRCULO CULTURAL PRESENTA:"Viva la Vida"
un personaje tan entrañable y controvertido como ella. 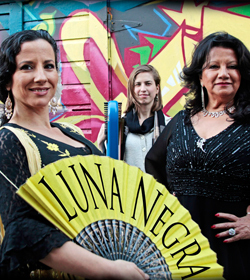 Come and enjoy our 35th Anniversary Magazine release with our annual LUNA NEGRA show, A night with dance, music, poetry, video and visual arts with women´s art. The celestial harp of Amelia Romano, accompany the full moon, with flamenco dance flavors of Kerensa deMars, the playfulness of Tango with Nora Dinzelbacher and the magic piano of the youth poet and composer Anais Azul. The Bay Area's iconic poet Nina Serrano will open the doors of MCCLA memory and 35 years of art and culture, presenting our magazine "Corazón del Barrio". Expect more surprises during the night. 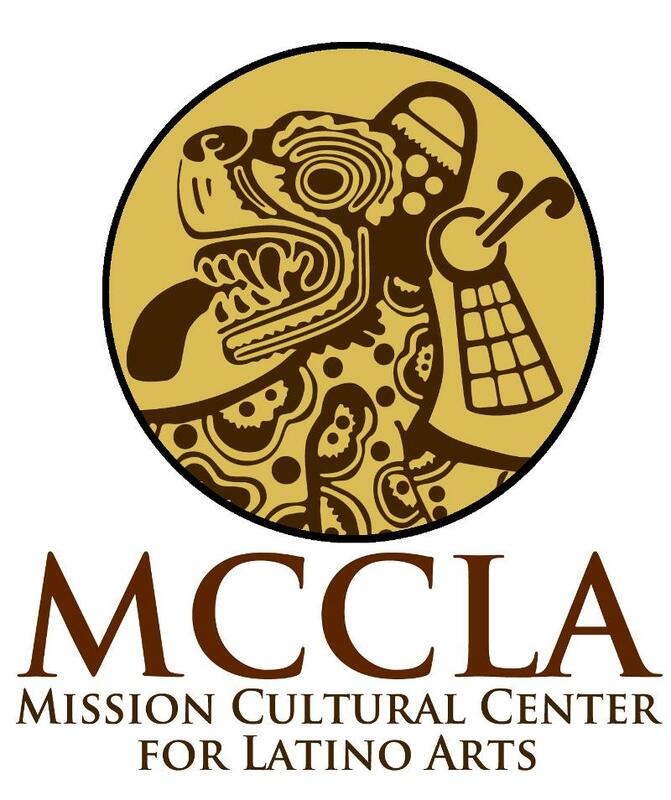 Receive a FREE Magazine containing the history of the MCCLA from the last five years in images, and special sections with details of our classes, events, Mision Grafica posters, articles by Nina Serrano, poems by Alejandro Murguia and more. 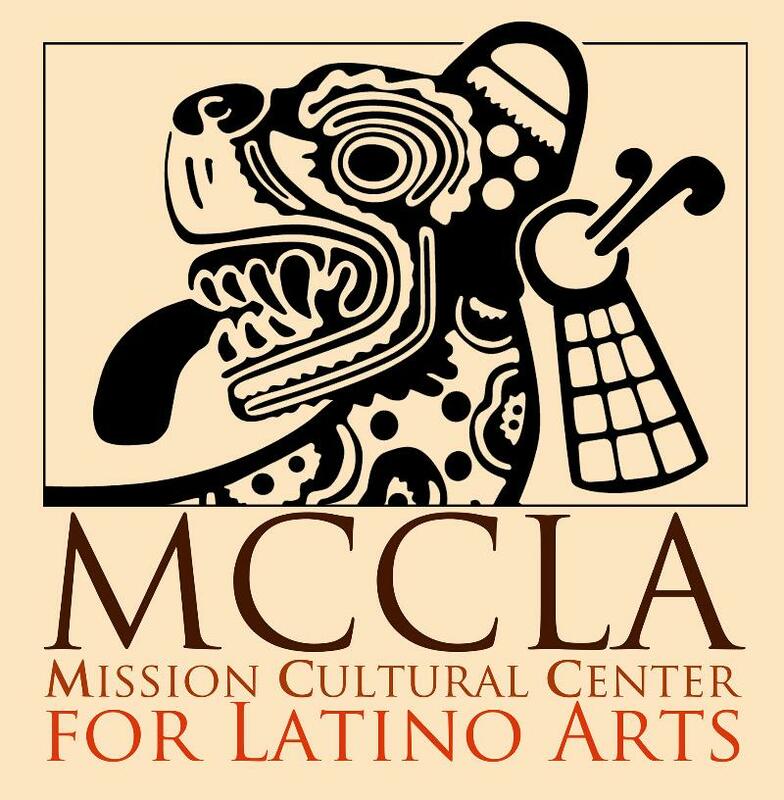 MCCLA would like to thank to our sponsors and community supporters in this issue, Gracias! Quieres Bailar con MCCLA en Carnaval? Learn MCCLA's Carnaval choreography, dance to an exciting mix of Caribbean, Latin and Urban rhythms to include: salsa, bomba, cumbia, ... and reggaeton), and have lots of fun. Open board meeting for community members, and supporters of the center. 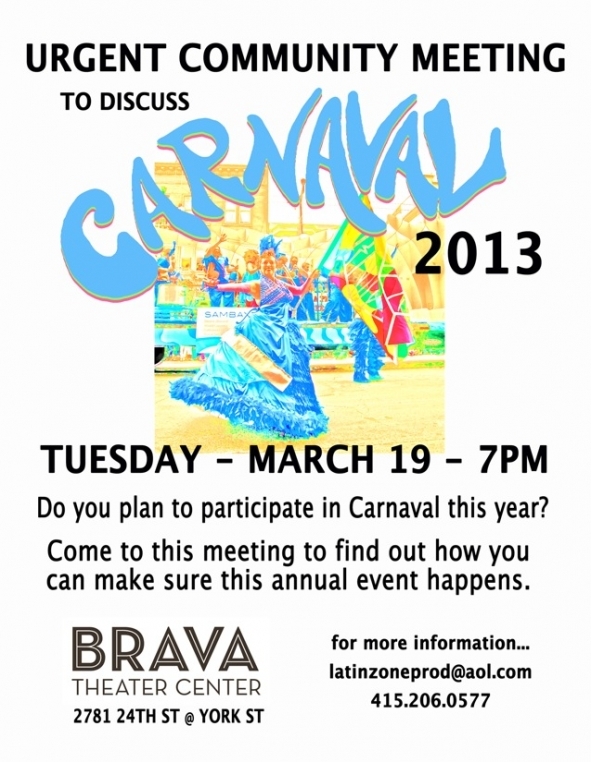 Open meeting for community members to discuss the future of Carnaval for 2013, and and to make sure this annual event continues to happen every year.